In cooperation with Casper Haring from design store Haring Design Rotterdam we made the lighting plan for “Restaurant Fjord” at de Blaak in Rotterdam. 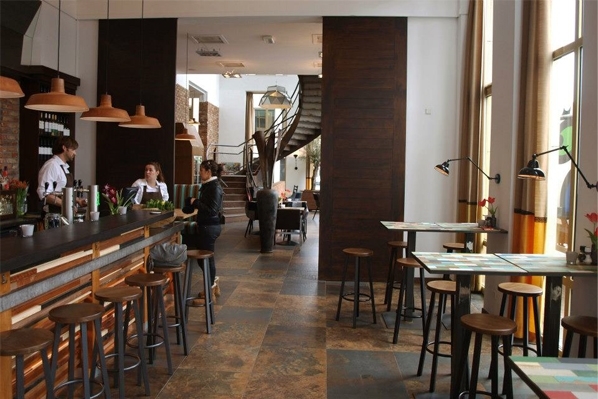 When the new owners took over this former restaurant “De coopvaert” they wanted to completely change it to their filosophy, style and taste. Make it a no nonsence, cosy and approachable Restaurant with a somewhat eclectic style, serving high quality food for reasonable prices. 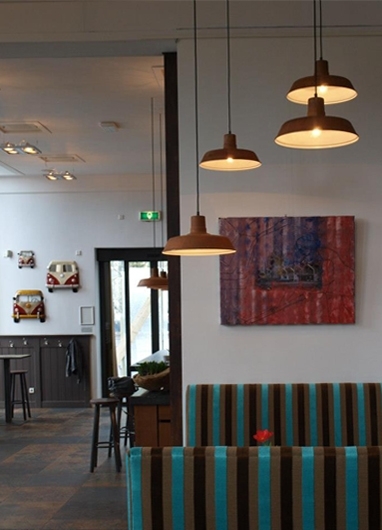 That’s what they wanted for their lightingplan as well, a good cosy, decorative and eclectic mix of lighting fixtures. 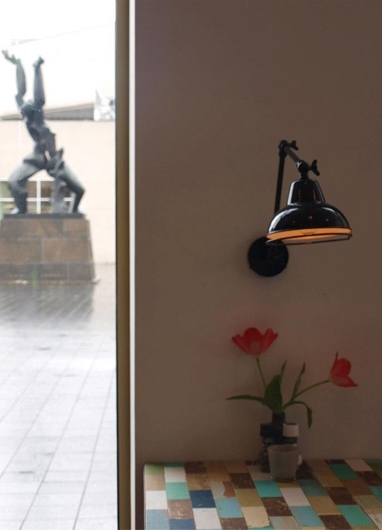 Not all “fancy design” but approachable, affordable, yet good quality lighting. Working with lampshades from large brands with one eyecatcher in the middle of the Restaurant space we made the lighting plan. 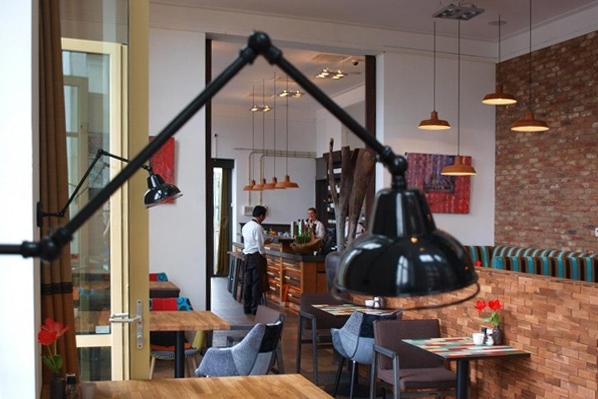 Using decorative E14 and E27 wall and suspended fixtures with old fashioned Bulb lights in a energy efficient version, combined with the already existing PAR ceiling lights that were present in the restaurant, we made a cosy and soft lighting plan. By hanging the fixtures in structured lines and clouds we could use different styles and types of fixtures matching the eclectic style of the interior and still keep the lightplan structured and calm. 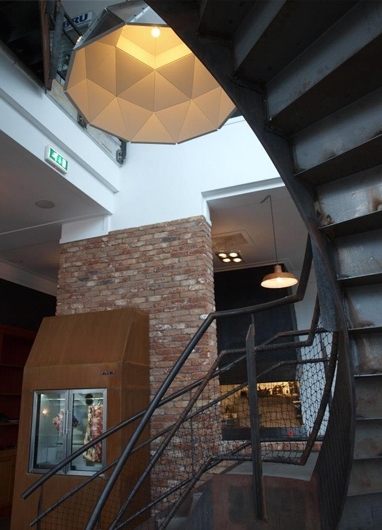 In the middle of the Restaurant space in the center of a eyecatching spiral staircase we hun a Apollo Lampshade of or own design with a diameter of 106cm, a Lampshade that complements the steel staircase and draws you attention immediately to the the restaurant space when entering or passing by the building.